The Internet is cluttered with boilerplate leases that are used every day between landlords and tenants. The problem with these leases is that they are often loaded with illegalities. Every state and city has different laws pertaining to landlords and tenants. You should hire a lawyer that specializes in landlord-tenant leases and is familiar with Cleveland regulations to review your lease. It also helps to pay attention to the news with regard to changing laws because you might have to change your lease. If you’ve done your work to screen out potential bad tenants than what you’re left with our good tenants. They should be rewarded for their good behavior like advance rent payments or tenant referrals. You can pass along the occasional movie tickets or dinner vouchers. If they make a special request about putting up shelves or some other modifications to the apartment, then let them do it. They’re trying to create a home that they want to stay in and that’s just what you want. Whenever you put a new apartment unit on the market, you should take thorough photographs of that place. You can even do a walking tour on video. 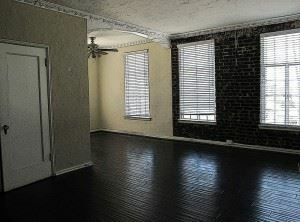 These are the photos that you will compare with your tenant after they’ve moved out. Aside from normal wear and tear, those photos should look very similar. They can be used in any legal dispute you have with one of your renters who is claiming your withholding security deposit unfairly. Before and after pictures can instantly shut down a case in your favor. Your rental property is your business. As such, you should have business hours. Tenants should appreciate the fact that you cannot call them at all hours of the night with their minor complaints. Obviously, emergencies are a different situation but that is what answering services are for. If you tell a tenant that they can call you anytime, then that is exactly when they’ll call you. Just because you have to have maintenance complete on your rental property doesn’t mean you have to carry it out. You should develop a trustworthy list of vendors that include plumbers, electricians and handyman to take care of those repairs. If you ever need junk hauling, then Junk King Cleveland is the only call you need to make. These junk hauling pros have been in this line of work for over 10 years. Your session will be staffed with two capable movers and a huge truck. That’s all you need to get rid of any rubbish left behind by a previous tenant or for general yard waste cleanup. Hiring Junk King Cleveland to clear away the rubbish at your rental property will definitely make you a successful landlord. This entry was posted in Cleveland Junk Removal and tagged apartment, Junk King Cleveland, landlord, rental unit, rubbish on July 31, 2017 by Junk King. Last updated July 31, 2017 .